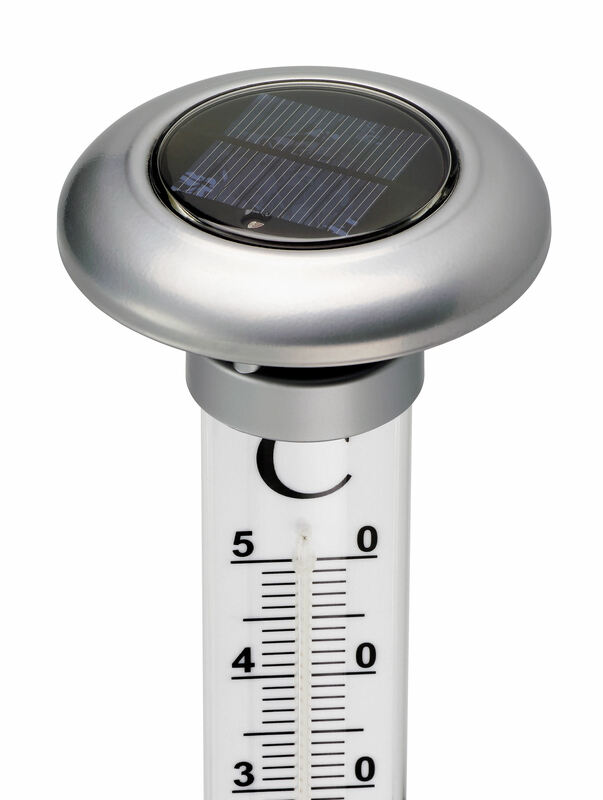 The garden thermometer "SOLINO" has solar cells that charge during the day and then automatically illuminate the large scale when it is dark. 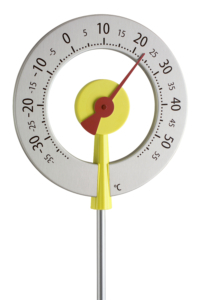 So the temperature can be easily read from a distance and at night. Simply insert the spike into the ground. 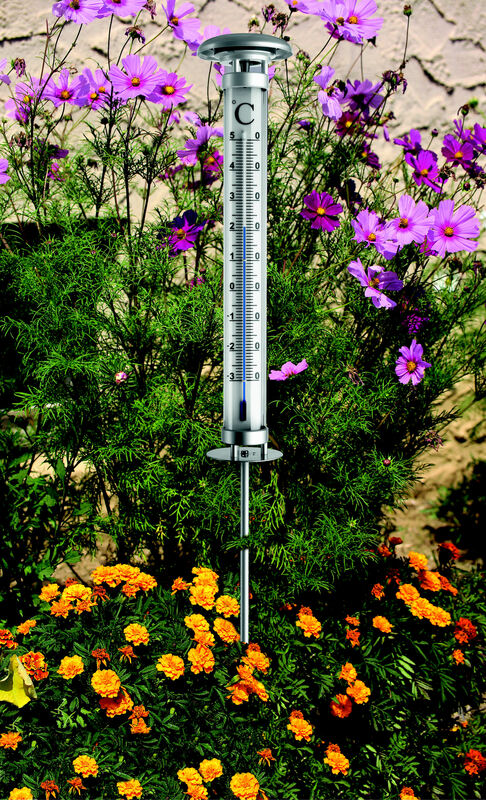 The lacquered metal and the high-grade acrylic glass (Plexiglas) ensure resistance during winter and all other weather condition.